Ross's Law Marketing Blog: In 1911, NY Lawyers Didn't Have Enough Business. 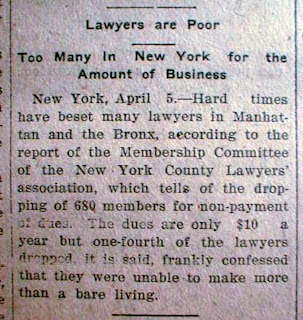 In 1911, NY Lawyers Didn't Have Enough Business. I thought this was interesting. 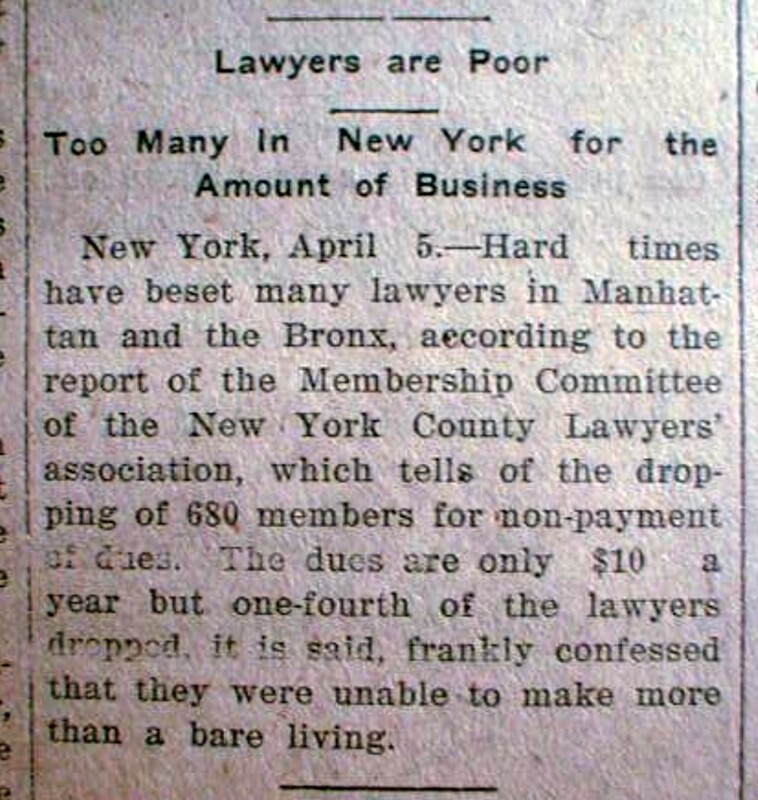 An article from a 1911 newspaper, discussing that in New York there wasn't enough business to go around, and many lawyers "were unable to make more than a bare living. 680 lawyers couldn't afford the "only $10/year" bar association dues.